As we mentioned last month, virtual businesses don’t need a back office and that’s because you can replace all those sluggish old-school processes with Xero online accounting software. But Xero doesn’t just give you a modern, cloud-based bookkeeping system. It also comes with a whole raft of reporting and performance management functions built in as standard. So, as a business owner, you’ve got access to everything from your balance sheet to your debtor ratio and gross profit margin. But if you’re not a real finance whizz, how do you know which Xero reports to look at? And how do you interpret the key numbers to really improve your understanding of your business and its financial health? The answer is to focus on the metrics that really matter to your particular business. If you want to have true control of your business, you need to understand those Xero reports. And the way to do this is to get a real understanding of the metrics that make a difference for your business. Measuring and tracking these metrics over time gives you an incredible insight into your business model. Whether it’s your monthly sales targets, your cost of goods sold (COGS) or your current cash-flow situation, we can create and tailor the right Xero reports for you, your management team and the business as a whole. And the way we do this is by sitting down with you to identify your key performance indicators (KPIs) – the metrics that show you how the company is performing. Cash flow – cash flow is all about liquidity: how much cash do you have in the business right now to pay your bills, and how much cash are you expecting to come into the business. When your income exceeds your outgoing cash, you’re in a positive cash-flow position – and that’s what you should always be aiming for. Debtor days – this is the average number of days it takes your customers to pay your invoices. The bigger the number, the slower your income stream is, the poorer your cash flow looks and the bigger your debt liabilities are. If your debtor days are looking poor, it means chasing up those late-paying customers, or finding more efficient ways to get paid – both of which will increase cash flow. Gross margin ­– your margin is the difference between your price and what it costs you to buy or make your product (that COGS number again). In other words, it tells you if you’re making money. To create a healthy margin, you need to take in consideration all the raw materials, labour and overheads that go into creating your end product. The better your visibility of these costs, the more you can control them – and when costs are low, your margin is greater. Turnaround – how efficient is your turnaround from a sale being placed to it actually being delivered to a customer? For example, if you’re running a restaurant, how many covers are being sent out per hour – and what profit are you making from each cover? When you’ve got visibility of the time, resourcing and profit numbers, you can start making your turnaround as efficient as possible. Xero makes it incredibly easy to keep tabs on your KPIs. All your important metrics and key numbers can be displayed in the Xero Dashboard, the one-stop destination for reviewing the performance of your business. The dashboard can be customised to show whichever KPIs are most relevant to you as a business owner. And you don’t just get the numbers – everything’s displayed with clear graphs and beautifully designed data visualisations. So even if numbers aren’t your thing, you can clearly see if you’re in a positive or negative situation. The key here is to keep the dashboard simple. Don’t be tempted to cram it full of every single metric you can think of. It’s important to be selective and to limit yourself to the five or six really vital KPIs for your company. For example, you might want to show your aged debtors, your outstanding bills, your monthly sales figures, your COGS and a comparison between your cash flow vs your net profit. And once you’ve narrowed down the important KPIs, it’s imperative that you track them over time. Measure them, track them and keep a close eye on how you’re performing. When the next big business decision comes along, this information is going to be incredibly valuable – it gives you the evidence you need to make decisions with real confidence and insight. Being in control of your metrics really is a game-changer. And our clients love Xero because it makes it so simple and straightforward to manage those metrics and performance wherever you may be – either in the office or on the move. A simple dashboard that’s totally mobile – Xero is cloud-based, so you can use their mobile app to check your metrics and KPIs at any point. That’s a huge help when a decision is needed quickly and you’re out of the office. 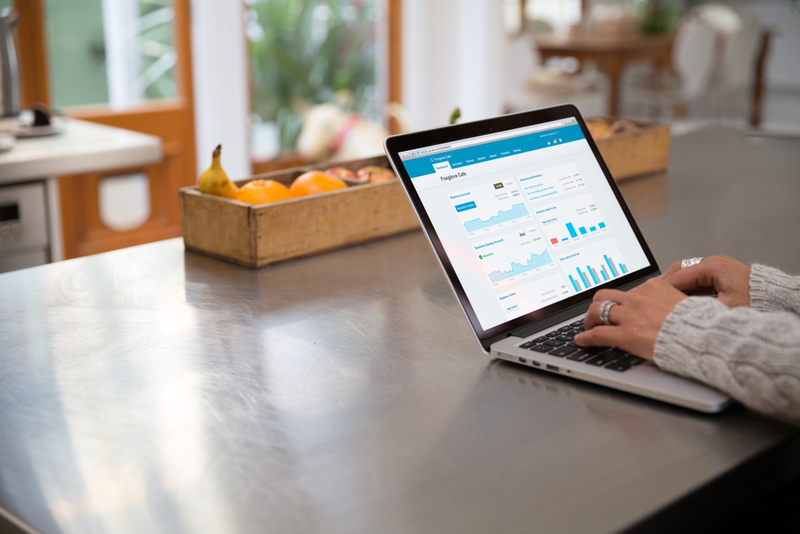 A live bank feed – You Xero Dashboard includes a direct feed to your bank accounts. So you always know exactly how much is in the bank and what transactions have gone through that day. Online invoicing – There’s no need for printed hard-copy invoices. You just email your invoice direct to your customer. And they can even pay it online, direct from the invoice link, speeding up your payments and cash flow. A clear view of credits and receivables – Your outstanding invoices and bills are all shown in the front screen, so you always know your outstanding debtors and which suppliers are waiting to be paid. 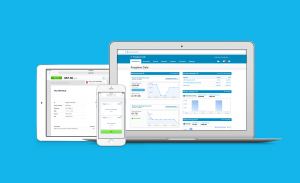 Integration with business apps – Xero integrates with over 500 different apps and cloud tools. So it’s easy to plug into cloud reporting solutions, like Float and CrunchBoards, to get even more insights into your KPIs and forecasting. A holistic view of your business – All these attributes combine to give you the best possible real-time view of your business. You can see the metrics, measure the KPIs and stay in real control of your destiny. To drive your business forward effectively, it’s important to have a good business plan in place. And your Xero reporting and KPIs can be a big help in making your plan as informed and watertight as possible. If you’re looking ahead to where the business may be in six months, or a year, you can research your plans against different scenarios, based on your Xero metrics. Those KPIs give you the information and the evidence you need to make truly informed plans. You can look at the trends in your data, how your numbers match up against the competition in the marketplace and validate your plans against genuine empirical evidence. And that puts you in a very powerful position. What Xero does is keep you truly engaged with your numbers and KPIs. 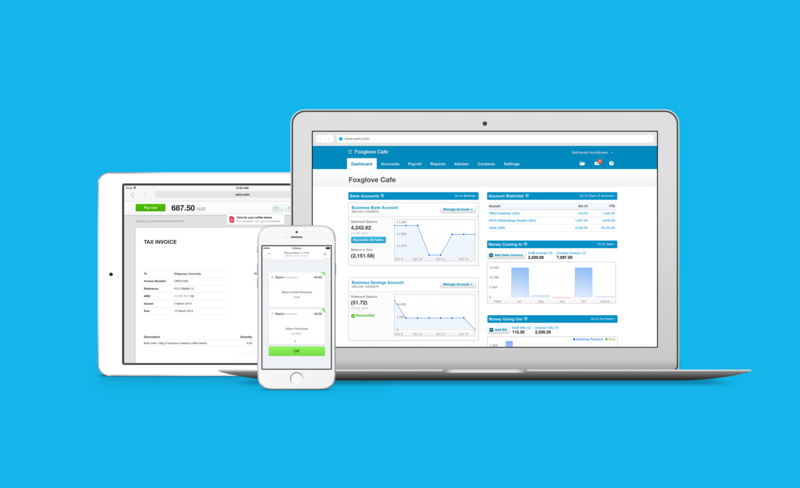 As a platform, Xero has been designed from the ground up to work for business owners. It gives you the metrics you need to make great decisions and the customisation options to create a dashboard that’s totally tailored to your needs. At Inspira, we’re always here to help you get more from your Xero system. There’s no need to struggle with your Xero reporting on your own – we can help you re-design your dashboard and customise it to show the KPIs and key numbers that will make a difference to your performance, planning and profitability. You’ll be able to access the data you need, in the format that you want to see it. And that’s a huge help for you and your team when you’re making big business decisions and need the most informed, evidence-based view of your company. Set up a call with us today so we can help you see the bigger picture behind your business.